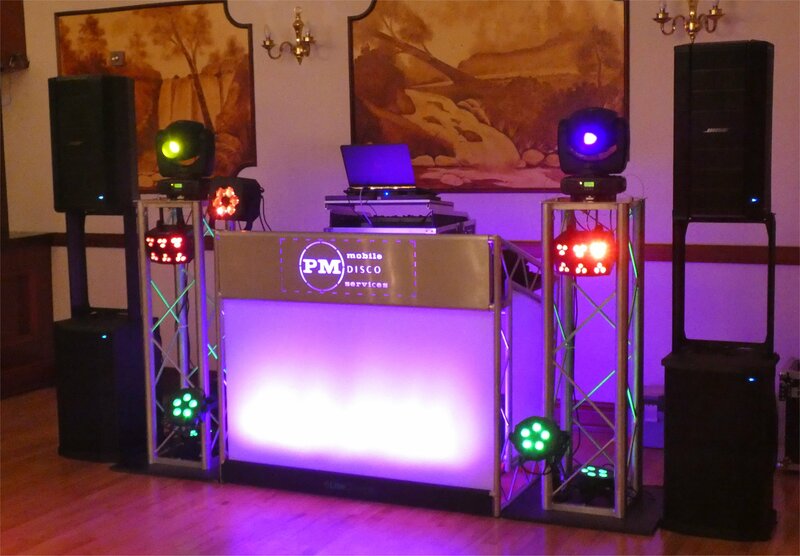 I own a selection of professional sound, lighting and special effects equipment and can therefore select the equipment that is best suited to your venue's size and the event type. Regardless of the specific equipment used, it will be set up in a neat, professional and, of course, safe fashion. Some examples of my equipment set up at previous events are included here. 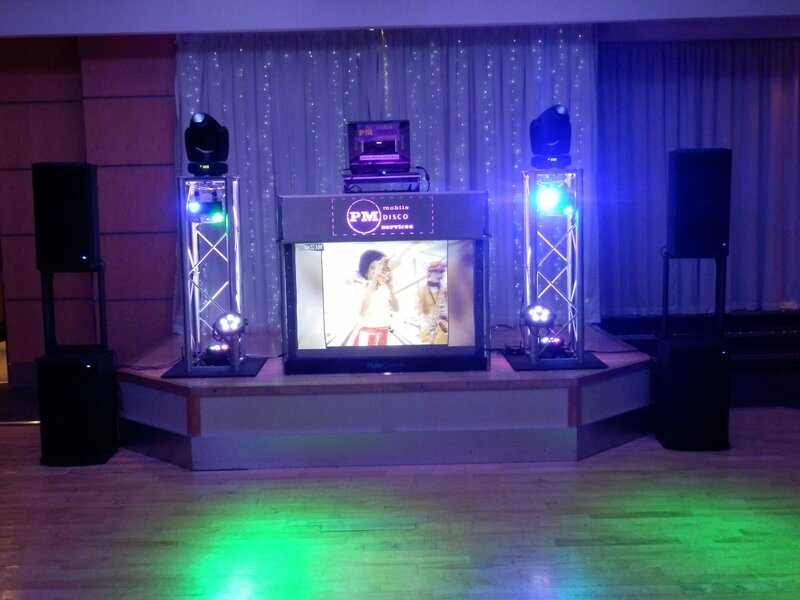 My sound systems provide the versatility to adapt from the largest ballrooms to the most intimate function rooms ensuring that the music is delivered at the correct volume with superb quality and clarity. I understand that the volume on the dancefloor should be adequate for those that want to dance, while at the same time allowing those that wish to hold a conversation in their seats to do so. The modern lighting effects I use are computer controlled and I've personally programmed them to suit a range of situations. 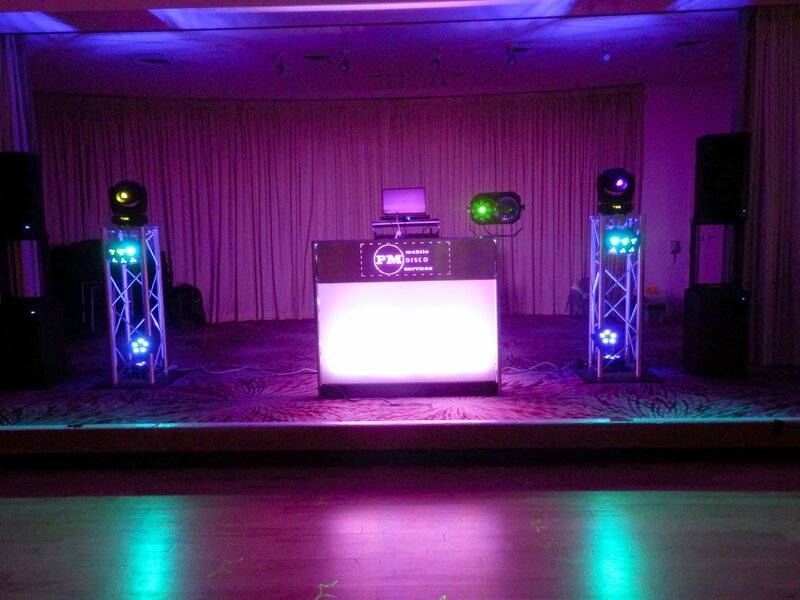 Subtle mood lighting can be switched to fast-paced party lighting at the touch of a button. 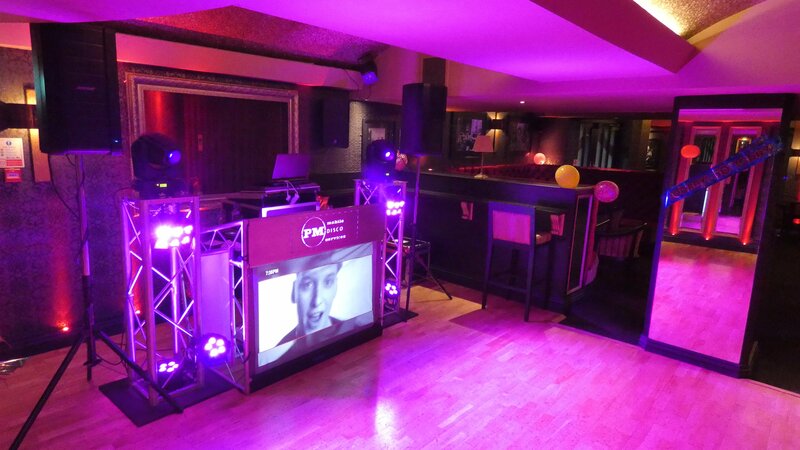 I recently invested in a new professional DJ booth and 2 lighting plinths to ensure my set up looks as tidy and professional as possible. 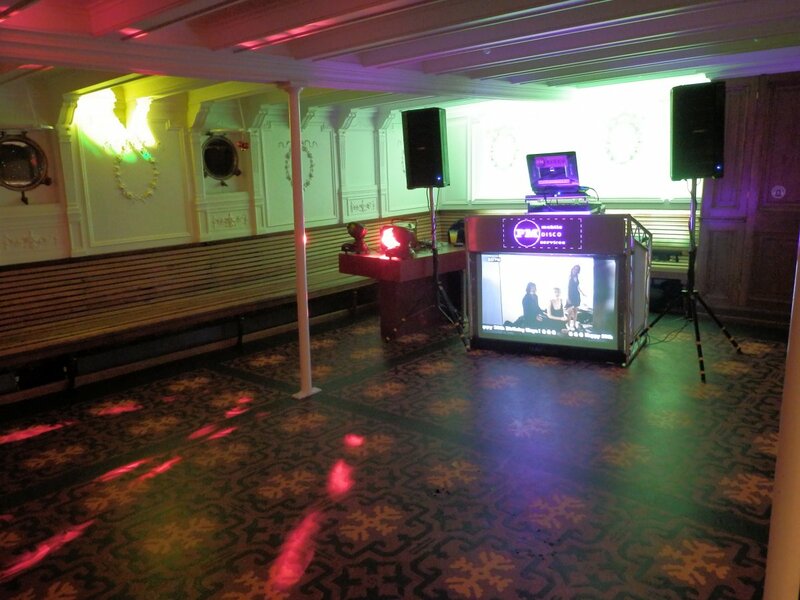 The booth incorporates either mood lighting or an integrated video screen depending on the customer's preference. All equipment is PAT tested for electrical safety at least annually.